It’s been a sporty weekend here at Henwood Court. 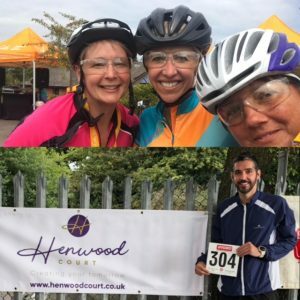 Congratulations to Victoria on completing the St Giles 40 mile cycle ride in a very impressive time and Mark who managed a top 10 finish in the Little Aston 5 mile race. Well done both.